First Tales for PlayStation 4 stars female lead. Bandai Namco announced Tales of Berseria for PlayStation 4 and PlayStation 3 during the Tales of Festival in Yokohama today. The game features character design by Matsumi Inomata, as well as Kosuke Fujishima. Ufotable will be handling the animated cutscenes. 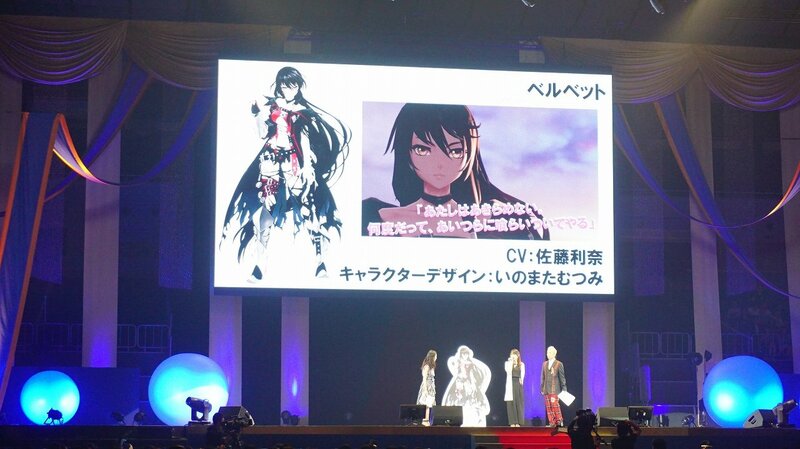 Berseria stars a sole female protagonist named Velvet (voiced by Rina Sato). She looks a bit like Milla from Tales of Xillia with black hair. In a trailer shown at the event, Velvet is imprisoned. In another scene, she is riding something like a ship. Later on, we see snow and grassy plains, as well as oceans during the ship scene. According to the press release, the game will have “cities covered in snow, perpetual summer islands, autumn leaves, and evening sunsets,” as well as a “diversity of situations” compared to previous entries in the series. Visit the game’s teaser website here. Thanks, Game Watch and ANN.